It does not mean that Agile is limited to software products, but since this article is related to software development, we will talk about that only. There are many benefits of agile approach. Agile is iterative as well as incremental approach that supports output delivery in small increments. You divide the required functionality into multiple iterations, and by end of each iteration you deliver the output to your customer. Quick Feedback: By delivering a small feature, you have the chance to get feedback after each iteration and hence improve your product in next iteration. Customer has the transparency of functionality that is being implemented. He can easily review things and suggest changes. Customer Involvement: Customer does not have to wait for long time to see the output. He remains engaged with the product during each iteration and has the visibility of the product. Change Management: Change management is easier as updating things after a small iteration is cheap as compared to updating the product after providing complete functionality. Team Motivation: Teams feel more productive as they are delivering something quite often and get response on their delivery. What is Iterative Design Process? Design process involves multiple stages: Understand, Research, Sketch, Design, Prototype, Test, Refine. An iterative design process starts from first stage and moves towards last stage. Then the output is analyzed, and multiple iterations are run to further improve it. In this process, your goal is not to create a deliverable, but to improve the design in each iteration. A drawback of this approach is that later stage adjustments in design are quite costly. How to Incorporate Agile Design Process? By introducing an agile design process, both agile and design can work together. An agile design process allows you to use iterative as well as incrementalapproach to deliver design to your customer. Divide your required functionality into small iterations so that by end of an iteration, you are sharing your design to customer to get his feedback. In agile design process, the stages run in parallel. You divide the functionality into small parts that can be delivered independently and start working on them. This helps to make faster design and get quick feedback on your work. This approach will help you as follows. Quick Feedback: It becomes easier to know timely that what customer wants, instead of providing him a complete prototype and then ask for feedback. Change Management: Changes in design becomes easier and cheaper. No waste of time and money. Faster Development: Delivering small chunks of design to development team also enables faster implementation. Development team does not wait for the complete design to start its implementation. In today’s world, sticking to iterative design process can make you behind in competition. This is the time to go for agile design process which is based on a combination of iterative and incremental approach. This helps you to become more productive and keeps you on right track. 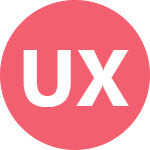 SIGN UP to get Free E-Book: UX Design Fundamentals to learn best practices, UX design process, and career advice from expert designers. Next ›How to Design a Perfect Date Picker? Design is for all, regardless of gender.